A quality leather labels can be the finishing touch to a perfect handbag. Handbags are a unique and obvious indicator of the wearer’s style. This makes them a design and fashion classic being innovated and explored by designers from the catwalks to design schools all over the world. The senses and flavours they bring to an outfit are highly branded. There are the smart lines of a Mansur Gavriel, or the lean practicality of Anya Hindmarch. The classic chic of Chanel or the impressive handiwork and detailing of J.W. Anderson Crochet Pierce. The little touches these designers include in their work make all the difference in the high-end market. Handbags, when beautifully made, are a pleasure to wear, believes former British Vogue editor, Alexandra Shulman. And, like her enthusiasm for the genre, the market continues to grow. Net-a-Porter currently offer 1,865 models, including a £16,900 ($22,960) Peekaboo mini crocodile shoulder. Handbags also make up a large portion of products on resale sites, such as Vestiaire Collective. The lessons learned from the heights of high fashion can inform the business process of designers at all levels. Quality finishing touches like soft, beautiful, elegant leather labels can set a product apart on its road to becoming a classic. 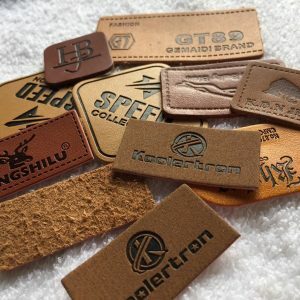 The market for purchasing genuine leather labels to adorn accessories or form other design elements is not difficult to access. We’re proud to offer many colours of soft leather labels and can guarantee you a short lead time and surprisingly good prices for Italian-crafted leather with free UK delivery. 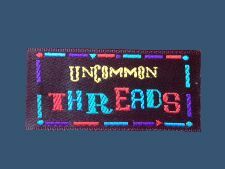 Our leather labels are ideal for all kinds of leather clothes, furniture, bag, shoes, accessories, and much more. When crafting fine accessories, even the smallest touches matter. That’s why we’re the perfect choice for the discerning designer. Contact us today. We have a wide range of quality leather labels for handbags and upholstery. You can contact on our Facebook page as well. Our contact details are here.